On the autumn/winter catwalks, models also kept things well covered. At Acne Studios, there were scarves to rival even Kravitz’s, harnessed in coat waistbands – handy to stop them getting trapped in bus doors. Isabel Marant paired her blanket scarves with cowboy boots for a western twang, while Jil Sander was a more tailored expression of the trend. 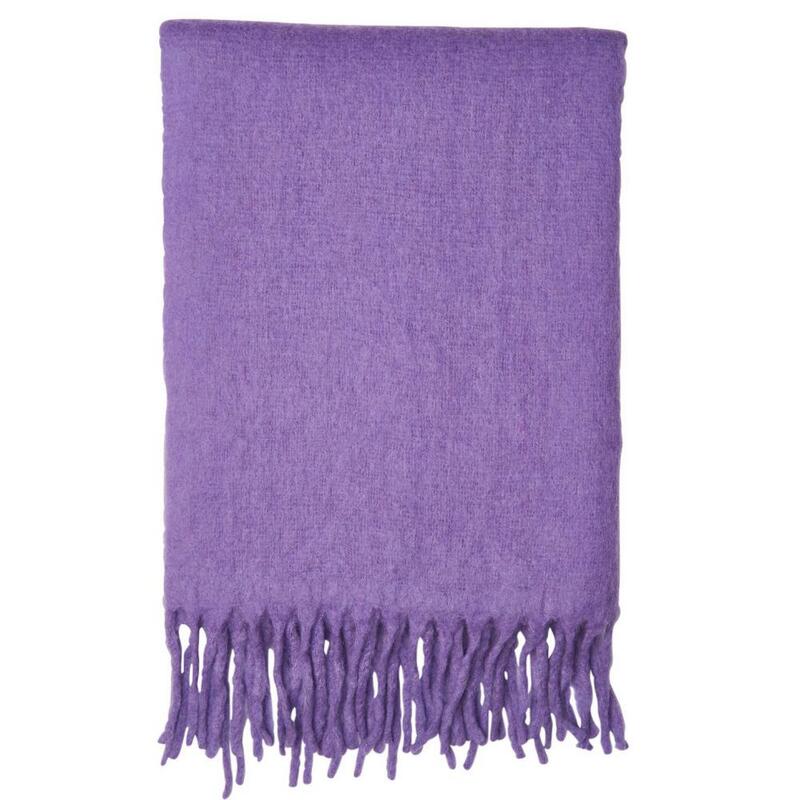 Open-weave blanket scarf,£65, Whistles at John Lewis. At matchesfashion.com, which stocks versions from Loewe to Roksanda, Gucci’s fringed woven wool blanket is sold out. On the high street, blanket scarves can be seen everywhere from Warehouse to Whistles, Anthropologie to All Saints. Big scarves and blanket scarves tie into the trend for all things oversized, from totes to coats, but they also have a practical point, as a removable layer to stay warm. A happy byproduct is the additional space for logos, which continued to hold their ground on the autumn/winter catwalks. At Acne Studios, scarves the size of bedspreads are decorated with the brand’s signature stamp. Nicky Albrechtsen, the author of the 2011 book Scarves, says oversized scarves can be traced back to the simple garments of biblical times, when lengths of fabric were “artfully arranged with rope to create robes that were utilitarian or even majestic for those of status, layering and mixing patterns and textures, much like today’s catwalks”. In light of the craft renaissance, championed perhaps most enthusiastically by the Loewe designer JW Anderson, the blanket resurgence fits a pattern. For Kramer, part of the inspiration for Aessai came from weaving, a symbolic practice in the area of rural Argentina where she grew up, “done with respect for, and inspired by, the environment”. 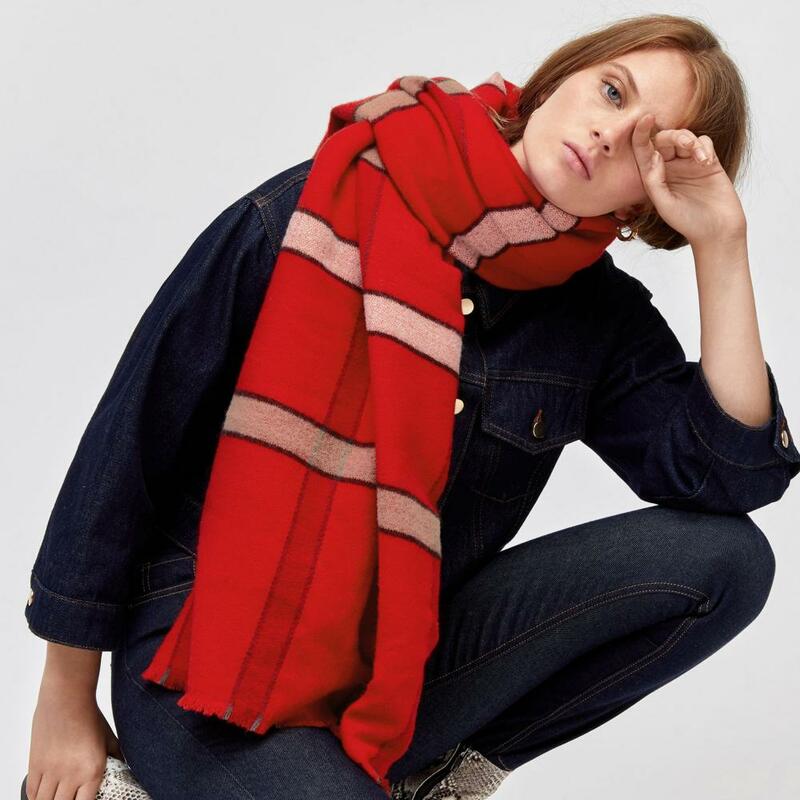 Chelsea Power, a buyer at matchesfashion.com, links blanket scarves to the integrated way we now see fashion and furnishings, pointing to “this idea is that your clothes, your home and your lifestyle should all sync. People are starting to dress their homes as they would themselves.” It can’t hurt, she adds, that “there is no one saying that a blanket can’t be a shawl”. These days, it’s cool to be swaddled. Check blanket scarf, £26, Warehouse.